Click here for the history and mission of GFWC. 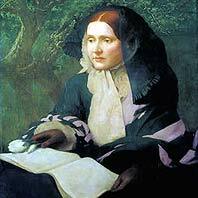 Founded in 1893 by 23 clubs, with Julia Ward Howe as the first President (1893-1898) and her theme: "To learn, to teach, to serve, and to enjoy," the GFWC of Massachusetts has a long list of milestones and accomplishments, some of which are listed below. Jointly with GFWC International credited with establishing more than 75% of the nation's libraries. Purchased 277 acres of prime woodland near Wayside Inn, Sudbury, in 1949. Building of a Headquarters was completed at this site in Memorial Forest in 1987. In 1999 over 200 acres were transferred to Sudbury Valley Trustees for maintenance and preservation of open space. Raised over $55,000 for the New England Assistance Dog Service Project. Raised over $30,000 for Talking Information Center for reading service to print-handicapped people. Raised over $25,000 for an Emergency Medical Assistance Vehicle for the Walter E. Fernald Development Center. Donated over $24,000 to purchase a van for the Pine Street Inn. Donated over $15,000 for the Childrens Trust Fund, Family Resource Centers. In 2000-2002, Massachusetts clubwomen worked 1,745,708 volunteers hours, and gave $1,732,721 to community service with $333,047 in club and state scholarships. In 2006-2008, homeless Veterans, Veteran's families, hospitals, and programs were supported with hands-on volunteer assistance and over $24,000 in donations. In 2008-2010, Massachusetts clubwomen volunteered 350,000 hours in over 3,000 programs, and donatated $600,000. Also, a Long Range Planning Committee was established and created a long range plan for GFWC of Massachusets, improvements were made at Headquarters, and the Unity Walkway Project was established. In 2010-2012, $9,200 was raised and presented to a member of the board of the Juvenile Diabetes Foundation and many of the items in our long range plan were implemented. 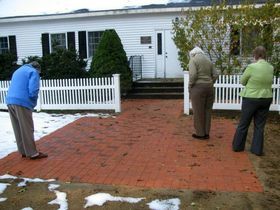 Also, the Unity Walkway was completed at GFWC of Massachusetts headquarters. 2012-2014- Donated $5,000 and $10,000 worth of goods to the President’s Project, Birthday Wishes, Inc. and funded a scholarship for a domestic violence survivor. Banners from clubs around the state were displayed at the Statehouse in Boston during Domestic Violence Awareness month. Gave $2,000 to One Fund Boston for Marathon victims and supported the Marathon Daffodil Project by providing a mile of daffodils on the Marathon Route. Established the first GFWC Juniorette Club. Since 2014 members have worked hard in support of resolutions to aid victims of human trafficking, youth living with autism, young people who have aged out of the foster care system in addition to programs in support of women’s health, conservation initiatives, and veterans. GFWC of Massachusetts has been a major sponsor of MassSTAR, a leadership/citizenship conference for high school sophomores in Massachusetts for more than 15 years.